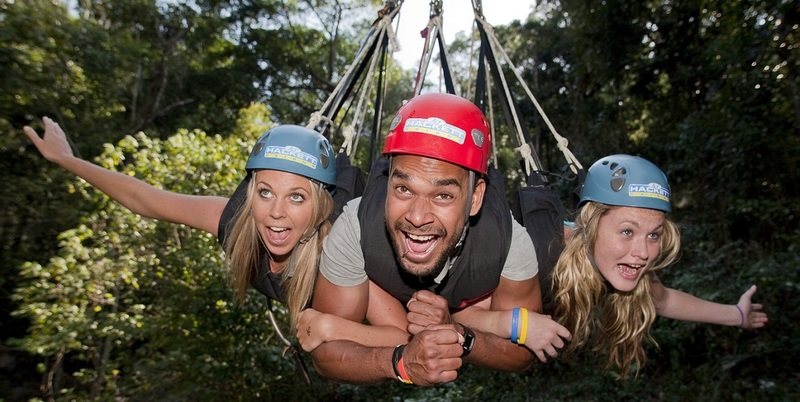 In keeping with the AJ Hackett spirit of stretching the limits of gravity the AJ Hackett Giant Jungle Swing was created to allow 1, 2 or 3 people to experience extreme speed and acceleration together. 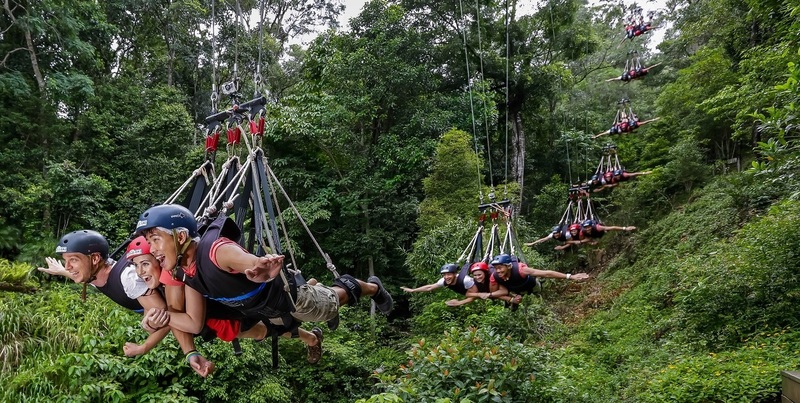 The only multi-person Swing in Australia swoops through the jungle from 45 metres down to 1 metre in 3.5 seconds, reaching speeds up to 120km/h. But don’t think this is a show ground ride – you have the control! You’re pulled up 45 metres until you’re lying horizontally above the rainforest then it’s all in your hands… all you have to do it pull the self release. 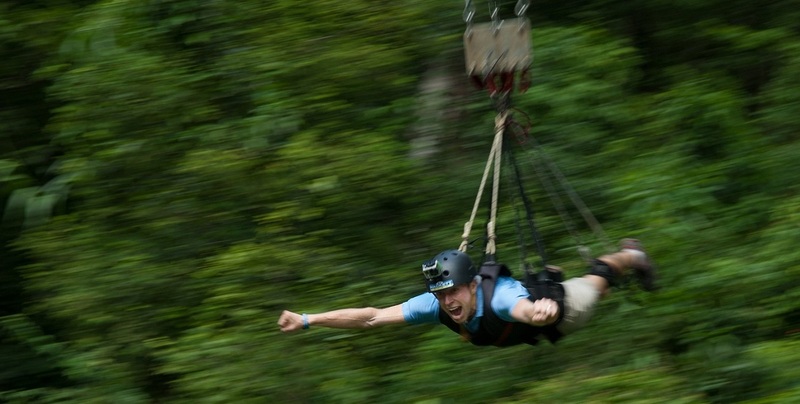 Why not relax in the rainforest and unwind with a cold beverage by the pond after taking a ride on the world’s fastest Giant Jungle Swing… or you could keep the adrenalin pumping and go again! Cairns Tours is your one stop shop for tours and attractions in Cairns and surrounding areas. Let us make you’re cairns holiday an unforgettable one by arranging your trips to the Great Barrier Reef, Kuranda via the popular Skyrail Cableway, Cape Tribulation & Daintree Rainforest and much much more! CANCELLATION POLICY: Bookings require 24 hour notice for full refund. Within 24 hours no refund applies. Complimentary Transfers MUST be prebooked. Every paying customer may bring one (1) confirmed spectator for free on the transfer. More more than one (1) is subject to availability and will be known on day of travel. Please advise if you are bringing a spectator with you when you confirm your transfer. All customers under 18 years of age require a legal parent/guardian present with them on the day. No tour options depart from this general location.